Kent A. Lambert, a shareholder in Baker Doneslon's New Orleans office, is the Chair of the firm's Business Litigation Practice Group. Kent concentrates his practice in the area of commercial litigation. His practice emphasizes civil trial work and complex litigation, complemented by an active civil appellate practice. Throughout his career, Kent has worked with financial institutions, their officers and directors, and bank-affiliated investment professionals in a wide variety of cases, including fraud actions, breach of fiduciary duty cases, lender liability claims, mortgage fraud matters, bank deposit and collection claims, consumer class action defense, arbitrations, and regulatory proceedings. In addition, Mr. Lambert has handled a wide variety of contract disputes and business and professional misconduct claims, including cases involving allegations of unfair trade practices, commercial and contractual bad faith, and fraud and misrepresentation, as well as a number of civil RICO actions. Mr. Lambert's representations span domestic and international concerns in industry sectors that include manufacturing, telecommunications, insurance, hospitality, construction, oil and gas, medical, technology, and real estate interests, among others. Kent also has been involved in matters concerning public records law, as well as federal and state regulatory proceedings and litigation concerning various aspects of the insurance and telecommunications industries. 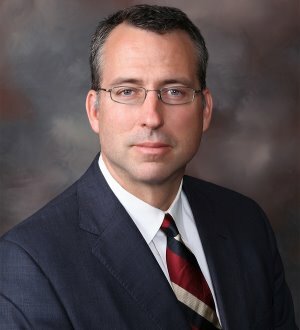 Additionally, Kent was the former chair of Baker Donelson's e-Discovery and Information Management group, and has extensive experience in handling evidentiary and sanctions proceedings arising out of e-discovery disputes, as well as with the myriad day-to-day complications and demands of electronic data preservation, collection, review, and production. Kent presently has the honor of serving as a member of the Council of the American Bar Association Section of Litigation, and is a former Chair of a number of Section Committees.